Jolee's Boutique Dimensional Embellishments 11/Pkg - JOLEES-Embellishments. These are fun little pieces to add to any card making or scrapbooking page for a great pop of color. 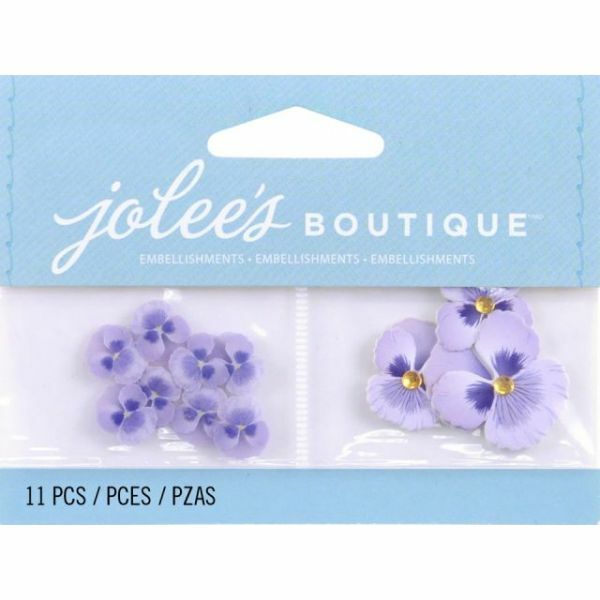 This 4x3 inch package contains eleven pieces of non-adhesive embellishments. Design: Purple Pansies. Imported.